In December, Christmas takes over everything. Christmas music is everywhere, dozens of TV specials and shows have Christmas themes, decorations with Christmas themes fill homes, stores and the streets. Anything winter related becomes a symbol of Christmas, from toy soldiers to snowflakes to bells to stars to wrapped gifts. But, there are other holidays celebrated in December, often overshadowed by the glitz and glitter of the six-week long Christmas celebration. Hanukkah and Kwanzaa are two holidays celebrated by millions. Many people who celebrate Christmas have little understanding of these two holidays, but as with Christmas, these joyful festivals bring together family and friends, include food, light, gifts and special traditions. Hanukkah, also called the Festival of Lights, is not a “Jewish Christmas” as many people think. It is actually a minor religious holiday—the High Holidays of Rosh Hashanah and Yom Kipper, as well as Passover, greatly overshadow it. Nevertheless, Hanukkah is a time to gather together family and friends to eat traditional foods and exchange gifts. Since the Jewish calendar is a lunar calendar, this eight-day holiday can fall as early as November or as late as the end of December. This year, it begins at sundown on December 12. The holiday has its origin in Jewish history, celebrating a 165 BCE military victory led by a rebel warrior family, the Maccabees, over the Syrian-Greek King Antiochus Epiphanies IV, who had conquered Israel and defiled the temple by installing his idols there. When the Israelites returned to their temple, they hoped to light the sacred lamp and rededicate and purify the sacred space, but they found they had only enough oil to last for one day. Miraculously, the oil lasted for eight days, until more oil could be found. This story may have a basis in truth, but, of course, history is much more complicated. While there is no argument about the battle and the retaking of the temple, there are no firsthand accounts of the miracle oil. The story didn’t appear until more than 600 years later, written by diaspora rabbis, possibly as a metaphor of hope. Many cultures have traditions that include lighting sacred fires near the winter solstice. The proximity of Hanukkah to the winter solstice, when the days begin again to lengthen, is probably no coincidence—most of the Hanukkah holiday traditions are based on the story of the miracle oil. 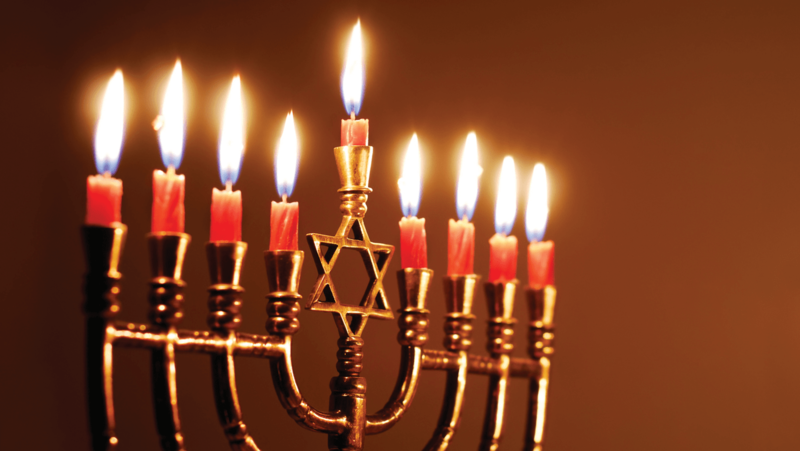 The focus of the holiday is the lighting of the menorah, the eight “plus one” candelabra, where families light a progression of candles each of the eight nights. On the first day, one candle is burned, on the second, two candles, until the last day when all eight are lighted and the room glows with a golden light. The “plus one” ninth candle, called the shamash (servant) candle, is used to light the rest. When the ancient Syrian-Greeks controlled Jerusalem, they forbade studying Jewish sacred texts and observing the Sabbath. Other religious practices were punishable by death. The king sent soldiers throughout Judea to force the Jews to worship the Syrian idols. The practice of giving children gifts is a more recent addition to the holiday. And, while children do get a gift every night, gifts are usually small (like a stocking gift) except for the last night when larger gifts are exchanged. Of course, it wouldn’t be a holiday without food. For Hanukkah, traditional foods also reflect the miracle of the oil, with fried foods taking center stage. In the United States, fried potato pancakes called latkes are the most popular food. They are made from shredded potatoes mixed with onion, egg and flour, then fried in oil until crispy, and served with a dollop of sour cream. Also popular are fried doughnuts called sufganivot, sprinkled with powdered sugar. Dairy products are usually served and since kosher laws forbid the mixing of milk and meat, fish is often the main course. Kwanzaa is not an ancient African harvest festival, but rather a modern holiday created in 1966 by Maulana Karenga, a professor and black nationalist. It was during the civil rights movement and after the riots in the Los Angeles suburb of Watts, as a way to let African-American families celebrate their heritage and the culture that was lost when Africans were forcibly brought to American during the slave trade. “Kwanzaa was created to reaffirm and restore our rootedness in African culture,” Maulana Karenga said, and said that it was meant to “serve as a regular communal celebration which reaffirmed and reinforced the bonds between us as a people in the U.S., in the Diaspora and on the African continent, in a word, as a world African community.” He named it after a phrase, Matunda Ya Kwanza, Swahili for “first fruits,” and there are many elements that borrow from traditional African harvest festivals. While there are no official statistics on how many celebrate, some estimates go as high as 30 million people worldwide, including in Africa. It is a family-oriented holiday with homemade, educational or African-themed gifts given each on the last day, Jan. 1. 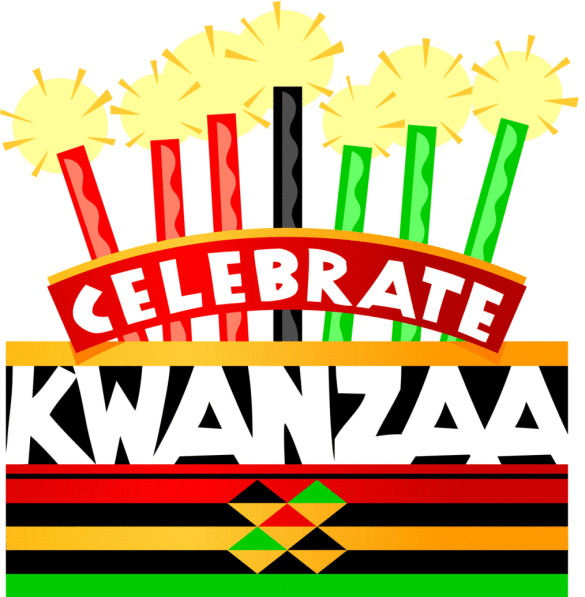 Kwanzaa is a secular holiday and many who attend Kwanzaa events also celebrate Christmas. Those of any religion, or no religion, can celebrate it. The weeklong holiday begins on Dec. 26 and introduces its participants to the Seven Principles of Kwanzaa, one for each day—unity, self-determination, collective work and responsibility, cooperative economics, purpose, creativity and faith. At the center of the holiday is the kinara, a candleholder similar to the Hanukkah menorah, with seven candles in the Kwanzaa colors of red, black and green. Each night, three red candles on the left, representing struggle, a black center candle representing African people and three green candles on the right, symbolizing hope, are lit. On the sixth day, New Year’s Eve, a festive meal is served, often featuring traditional African or Southern foods such as sweet potatoes in various forms (including pies), collards greens, black-eyed peas, peanut soup, jollof rice and corn grits. Family members also drink from a communal unity cup. There are traditional ritual activities as well. An elder fills a cup with juice or water and pours it into a bowl filed with green vegetables. The elder recites a short statement praising the ancestors and then participants take turns telling their own stories about a mentor or other person who inspires them. On Kwanzaa’s last day, time is taken to reflect on the lives of all who live in or came out of Africa, and each person asks themselves three questions, “Who am I?”, “Am I really who I say I am” and “Am I all I ought to be?”, giving people a chance to reflect on the past year and to set goals for the next. Kwanzaa ends when the family and friends take a last sip from the Unity Cup. The candles are extinguished and the celebration is over until next year. 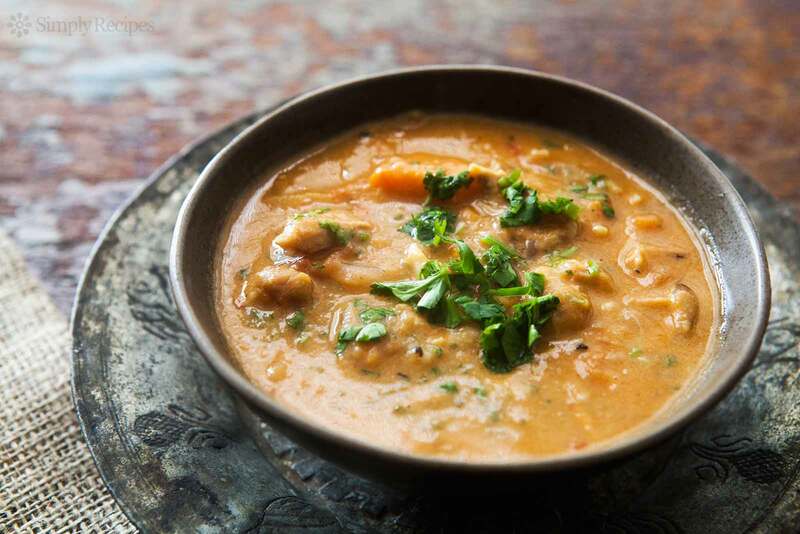 You don’t have to celebrate Hanukkah or Kwanzaa to try these traditional foods. For some, these are comfort foods, and many look forward to serving them every year. Separately grate the potatoes and the onions in a food processor or using a box grater. Place the potatoes into a colander lined with cheesecloth, squeezing out, but retaining the liquid. After a few minutes, carefully pour off the liquid, keeping the potato starch that settles at the bottom of the bowl. Combine the starch with the eggs, flour, salt and pepper, then add the potato and the onions. Mix well. Heat the oil and drop tablespoons of the mix into the oil. Cook until golden brown (about 3 or 4 minutes), flip and repeat. Drain on paper towels and serve hot with sour cream. 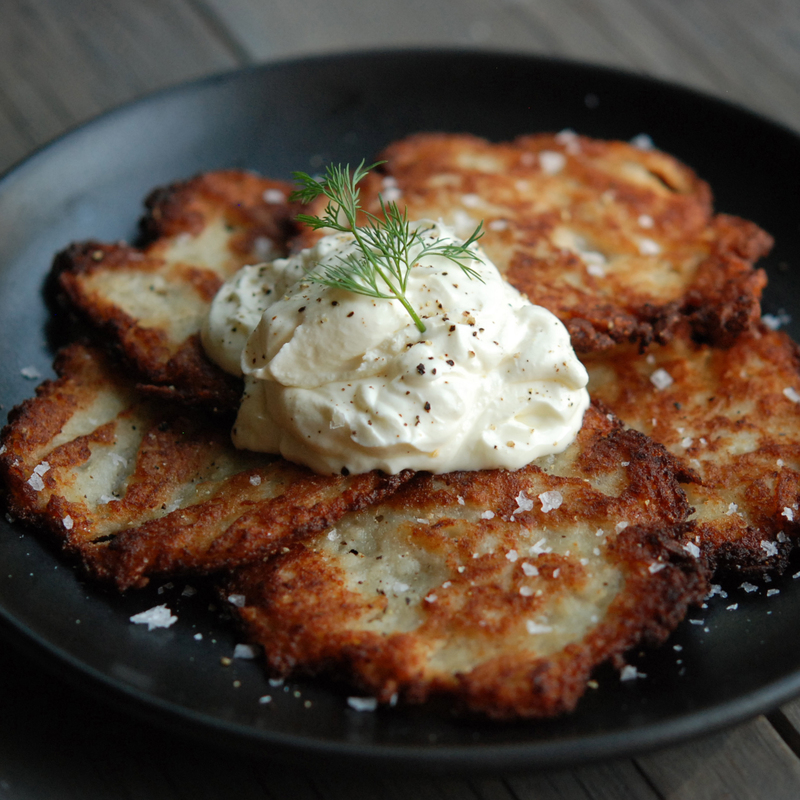 The latkes should be crispy on the outside and tender on the inside. 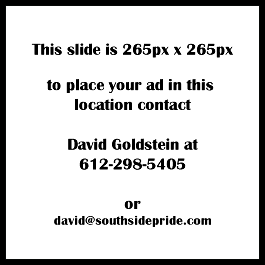 Makes 12 latkes. Brown the chicken pieces in the hot oil. When the chicken is browned on all sides add the onions and tomato paste and stir for about a minute. Add the water and bring to a boil. Add the garlic. Cover, lower the heat and and simmer for 30 minutes. Add the okra, carrots and sweet potatoes. Mix the peanut butter with some of the hot broth, then add to the pot and simmer for another 30 minutes stirring occasionally. Serve with hot jollof rice. Makes 6 servings.